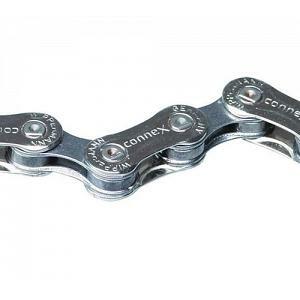 Nickel-coated outer plates and a compelling shifting performance make this model an attractively-priced high performance chain. Includes one Snap On Connector. Dimension -1/2 " x 11/128 "